Located in Sanford across the street from Town Center Mall. Easy access to I-4 and the 417. Close to Sanford Airport. 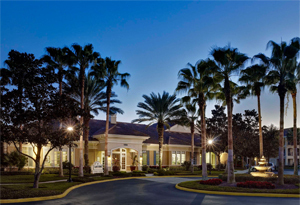 Drive Times: 1 minute from 417, 2 minutes from the I-4 interchange, 10 minutes from the Orlando Sanford Airport, 15 minutes from Seminole State College, 20 minutes from downtown Orlando, 25 minutes from University of Central Florida and Rollins College and 30 minutes to Orlando International Airport.